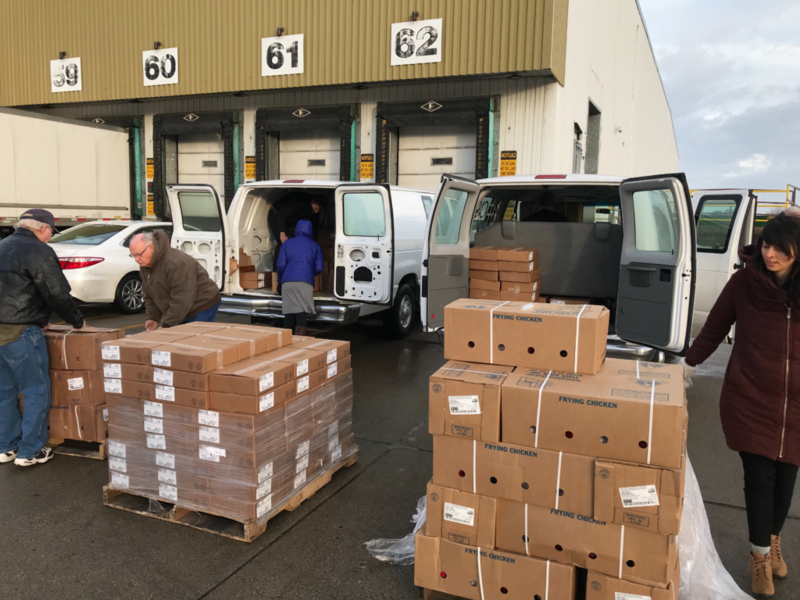 GRAND RAPIDS, Mich. – SpartanNash and Miller Poultry recently donated 10,000 pounds of chicken to a pair of local food banks, helping to ensure families will have access to healthy, quality protein this holiday season. On Dec. 13, SpartanNash and Miller Poultry donated 5,000 pounds of chicken to the Food Bank of Eastern Michigan. The two companies then donated an additional 5,000 pounds of chicken to Access of West Michigan and its network of local food banks on Dec. 19. The donations took place at the VG’s store in Fenton and the Metro Family Fare Supermarket in Wyoming, both SpartanNash retail stores. 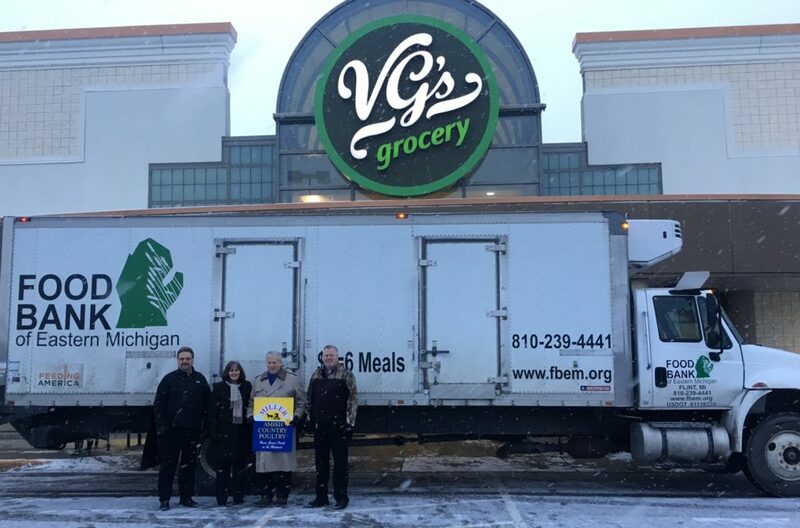 VG’s and Family Fare associates helped with the distribution of the donation, reinforcing SpartanNash’s commitment to fighting hunger in the communities it serves. SpartanNash owns and operates 145 stores in nine states. In Michigan, the stores operate under the retail banners D&W Fresh Market, Family Fare Supermarkets, Forest Hills Foods, VG’s and ValuLand. SpartanNash and Miller Poultry have taken part in this annual holiday tradition since 2008, donating more than 100,000 pounds of chicken to help families in need throughout Michigan.